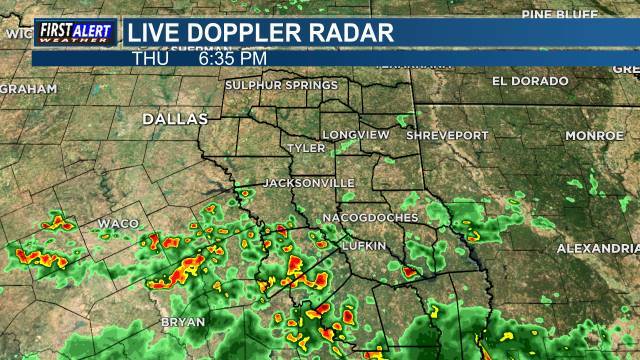 DIANA, TX (KLTV) - Strong storms ripped through Upshur County again Thursday evening. These storms produced hail up to quarter size and strong winds as high as 70 mph. A long travel trailer was overturned and damaged beyond repair. This was along highway 259 near Ore City. Nicholas and Kerri Thron say this was their first home and they had been in the process of renovating it for the past several months. They had taken a break and were thinking about going back to check on their dog when they heard on a friend's scanner about their home. Their dog is ok but unfortunately, they say, the home is damaged beyond repair. Thankfully there were no reported injuries from last night's storms in Upshur County.